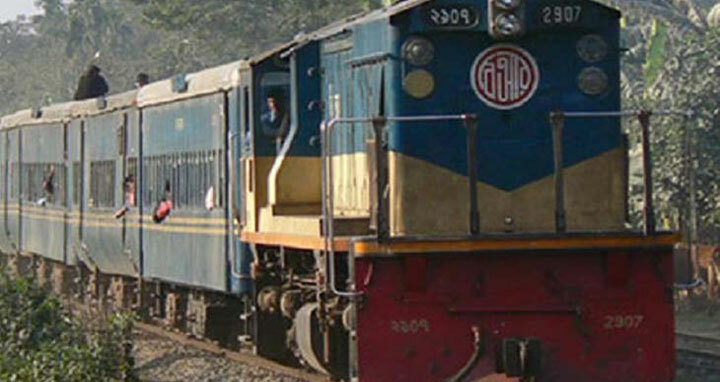 Pabna, 7 Jan, Abnews: Rail communication of Dhaka with the country's southern region restored after a six-hour of disruption due to derailment of the locomotive of a commuter train near Ishwardi Bypass Railway Station on Sunday, UNB reports. The engine of Chapainawabganj-bound commuter train veered off the tracks near Ishwardi bypass station around 7 am due to poor visibility caused by the thick fog, said Asim Kumar Talukdar, DRM of Ishwardi Junction. Following the accident, Khulna-bound train Sagardari Express and Goalanda ghat-bound train Madhumati Express coming from Rajshahi got stranded at the junction. The rail communication became normal around 1:20 pm after the derailed locomotive was salvaged, the railway official added.